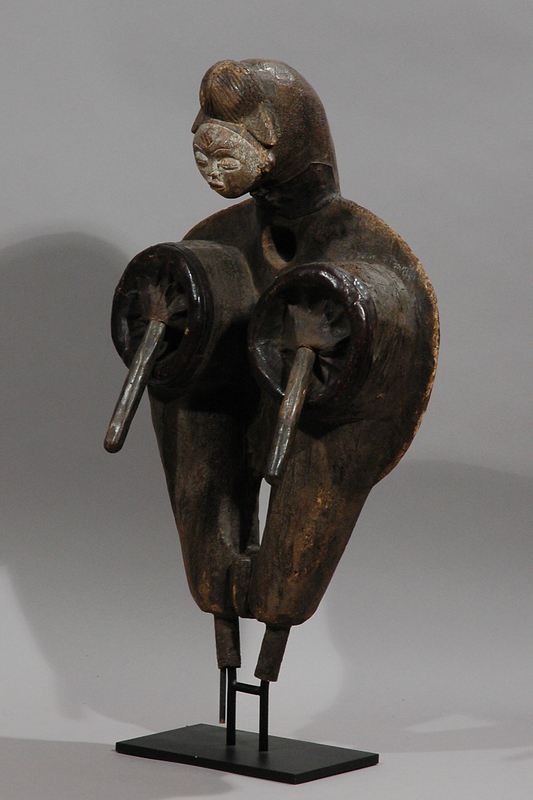 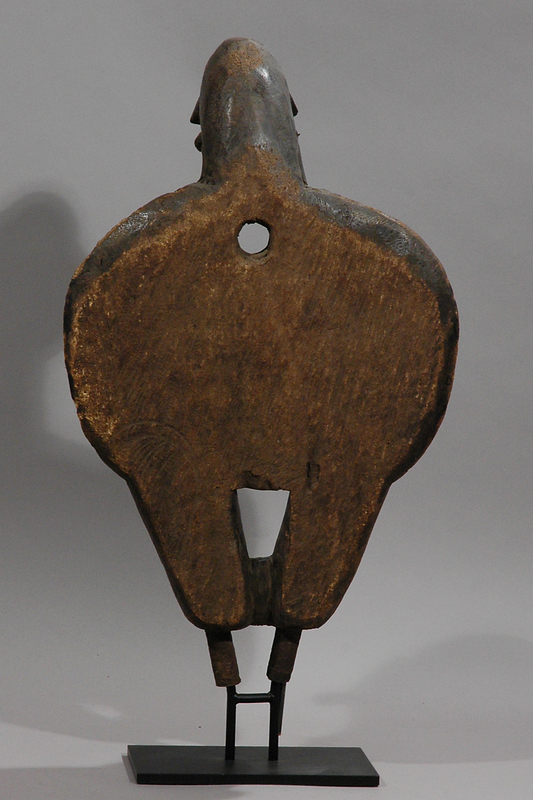 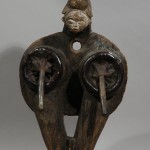 The forge bellows had considerable cultural importance, since it was both a tool of trade and a symbolic figurative sculpture. 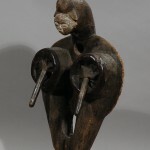 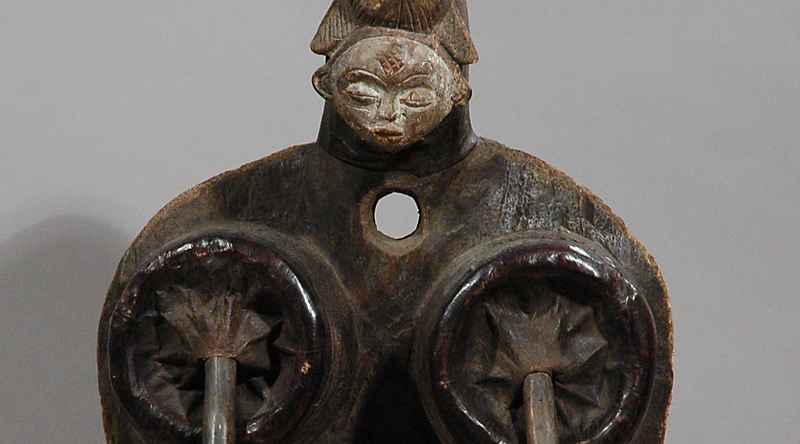 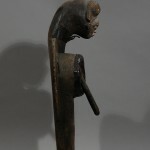 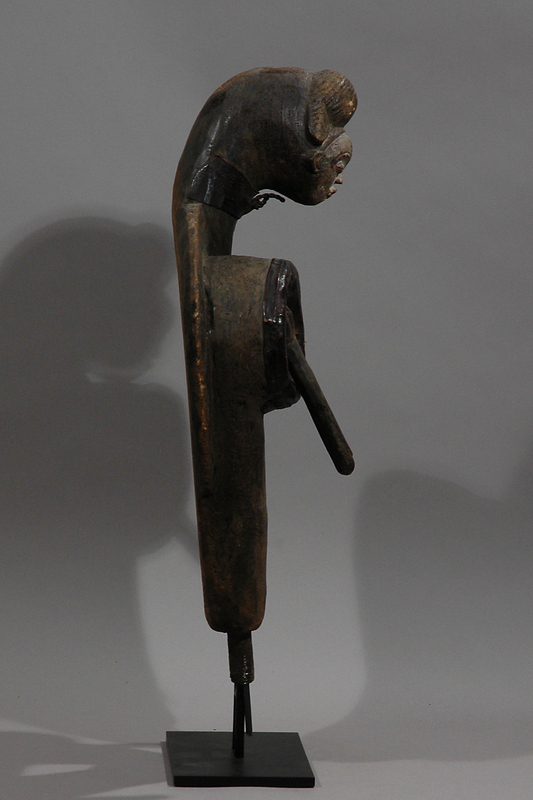 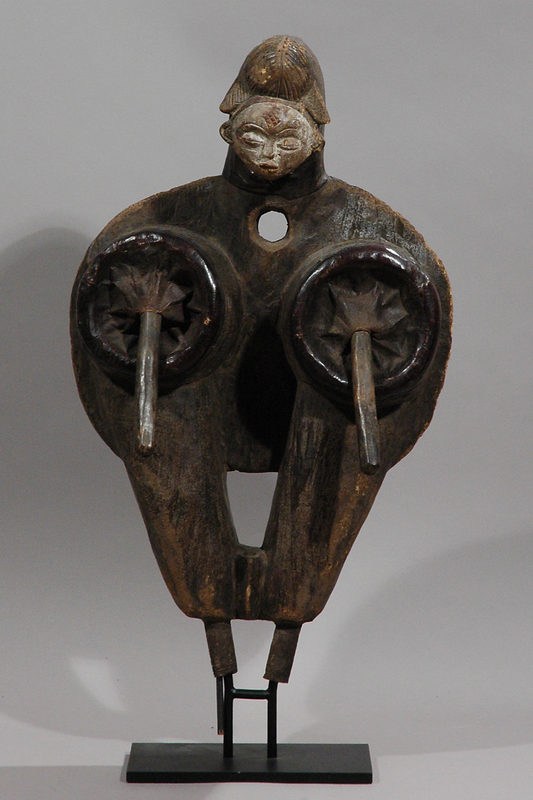 The sculpted head decorating the end of the bellows is in the Punu style, with the characteristic coiffure, a domed forehead ornamented with the motif of nine lozenge-shaped scales, and delicately arched eyes. 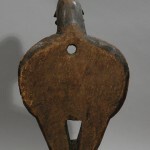 The bellows have sexual significance and were made by men who keep them out of the view of women and children.